This will be a very emotional night for Dusan Ivkovic, the head coach of Efes, as he returns to a club where he tasted a great deal of success. Ikvovic took Olympiacos to two continental titles and this will be the first time he has been in Piraeus on competitive duty since he led Olympiacos to Euroleague glory in 2012. No doubt there will be mixed emotions for the home fans who will want to cheer a man who has provided them with so many happy memories, but who is coming with a job to do for his own team. There are more than enough great players on the court to grab attention but this is definitely a night when a lot of eyes will be looking just off the court. Olympiacos come into this game with a 16-5 record, which consists of an 8-2 record in the regular season and an 8-3 record in the Top 16. This fine form means that Oympiacos should be confident about this game and heading into the playoffs. Anadolu still have work to do and they hold an 11-10 record this campaign. They held a 6-4 record in the regular season and in the Top 16 they currently hold a 5-6 record. With respect to average points scored per game, there is very little to choose between the teams with Anadolu holding a slight advantage by 75.8 to 75.7. 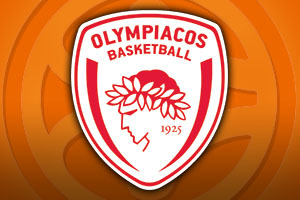 Vassilis Spanoulis remains a doubt for the home side, and if he misses pout it will be a major blow for Olympaicos. This is because Spanoulis leads the way with average points scored per game, with 15.5 and he has also delivered an average of 5.9 assists per game. Another key player for the Greek side has been Othello Hunter, who has served up an average of 5.0 rebounds per game this season. Dario Saric is a key player for Efes, offering up an average of 10.1 points per game this campaign, while also offering up an average of 5.4 rebounds per game this season. Dontaye Draper has also been in fine form for the Turkish side this campaign, serving up an average of 3.4 assists per game this season. Olympiacos sit at the top of the Greek league with a 20-1 record, sitting just ahead of Panathinaikos who hold a 19-3 record. The last domestic game for Olympiacos ended in a victory, with the Greek side defeating KAOD 72-62. 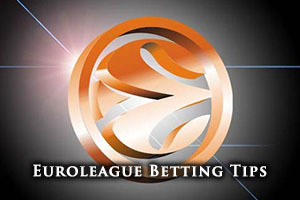 Anadolu Efes currently sit second in the Turkish league with a 16-7 record, behind Fenerbahce who hold an 18-5 record. The most recent domestic game for Efes was a narrow 76-75 away loss to Muratbey Uşak Sportif. Taking Olympiacos with a -5.5 handicap, at odds of 1.90, is likely to be a very safe and sound bet in this game. If you are looking to get involved with the Over/Under market, you will find that going OVER 147.5, again at odds of 1.90, will keep your interest in the game alive through to the end. Bet Now!